CoreTraffic is a powerful web-based statistics tool for analyzing company telecom activity. It improves managers' visibility, quality performance and transforms knowledge into actionable intelligence. CoreTraffic enables managers and supervisors to efficiently create generic and customized web-based enterprise reports based on information gathered from corebridge call logs. This information is enhanced by the data maintained within Corebridge meta-directory from line-of-business applications or databases, within an organization. Data may be segmented with a greater degree of granularity than is available from traditional PBX applications. Data sets may be refined using criteria such as company segment, caller location, call direction, landline or mobile calls, presence, custom data ranges and personalized time scale. Filters can be applied to CoreTraffic so that users can visualize selected data only. For example, display successful outgoing calls, calls from a particular phone numbers, exchanged calls between particular customer and specific internal employees .etc. additional filters could also be applied to generate statistics focused on device type, call type, call state, smartphone calls, international calls, unidentified calls, hidden numbers, country, region. 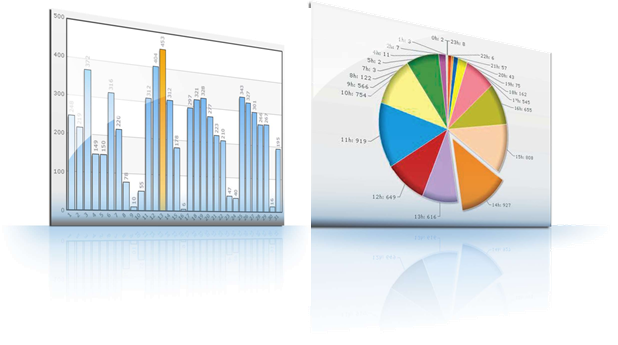 CoreTraffic provides preconfigured and custom report options which can be saved as templates. Templates can be loaded and updated dynamically, emailed at any time to reflect the most up-to-date statistics.